Today, I would like to talk about hyperconverged appliances in detail. Hyperconvergence has already gathered a lot of hype from all around the world. Corporations are turning towards this technology thanks to the myriad of advantages it comes with. In this article, I will discuss the main reasons why hyperconvergence has become such a popular phenomenon. We will talk about the problems and areas that were present before it and how HCI caters them all. In my personal opinion, there are few key points which should be present in any box for calling it true HCI i.e. consolidation, scaling and support. So, without any further delay, let us begin this article. Two years ago, the idea of hyperconvergence did not exist but now it is an industry that has matured exponentially in a short span of time. In today’s data-driven age, traditional storage for corporate data centers is a big negative due to its complexity, price overheads, and rigidness in terms of architecture. Corporations had their hands tied when it came to data center management and they required three things to keep their work going i.e. networks, storage arrays and lots of servers. There was no concept of software-defined storage or any failure-proof solution. Companies had to deal with inefficient IT design that had proved to be barriers to progress and expansion. But all this has changed thanks to HCI. Hyperconvergence is the complete and unified digital storage package that corporations are now readily adapting. It seamlessly integrates the elements of computation, storage, and network together and creates an appliance that is flexible and highly optimized. Hyperconvergence combines the power of x86 servers, storage resources and software for creation of a scalable and agile data center. Thanks to HCI, many traditional storage-related issues have been resolved. IT administrators have institutive frontend interface which has made management an easy task. CapEx and OpeEx costs have reduced significantly. Security, data safety and overall agility in work process have also increased greatly. That being said, not all solutions can qualify as hyperconvergence which is why I will tell you what the essential components of HCA are. So, what is a hyperconverged appliance? Let’s start from the top of the list. The first point to which I want to attract your attention is consolidation, this should be considered as “must-have” for any HCA. By saying consolidation, I mean, that the basis of the HCA is “all in one” thus HCA by design gets rids of any hint on cumbersomeness. Integration of computing, storage, and networking makes it possible to create comprehensive solution managed by a single pane of glass. Simplifying the solutions architecture make’s administrator live easier, therefore untying their hands for other duties. The second important skill that is required for HCA is Scaling. I can divide this process into two constituents: Scale-out and Scale-up. Growing is quite important part of any business thus it should be taken into consideration when drafting the plan. Being able to increase storage or compute recourses on demand is huge when it comes to real world scenario. On the other hand, some vendors “locks” the scaling possibility by introducing severe restrictions on adding drives or/and nodes. In view of the foregoing, I would recommend exploring the scaling possibility of an HCA, and every “under-water rocks” that could be associated with it (cost and limitation, etc.). Third bullet-point is vitally important for any HCA, would you be able to guess it? I don’t’ have any clue what’s your answer, whatsoever. What seems clear to me is that the third key point is support. I am talking not only about the quality of the support while this point is undeniably important, but about the scope. True HCA should be protected by “single support umbrella” leaving no space to any “vendor finger-pointing”. Proactive Support is an innovation that has rapidly evolved into a requirement for almost every HCI. Possibility to sleep at night knowing your infrastructure in safe hands is indispensable. Let us take stock of my scribbles. Fairly obvious that we can spare three main points which should be considered as essential for HCI. Consolidation, Scaling, and Support. Don’t misunderstand me there are many more aspects that should be taken into consideration before diving into this swap. If you are looking for an HCI solution that is reliable and worth buying then you should definitely go with StarWind HyperConverged Appliance. It is a robust solution with 100% software-defined infrastructure powered by Dell OEM Servers. StarWind HyperConverged Appliance is the complete package which comes with hassle-free app migration and seamless integration. 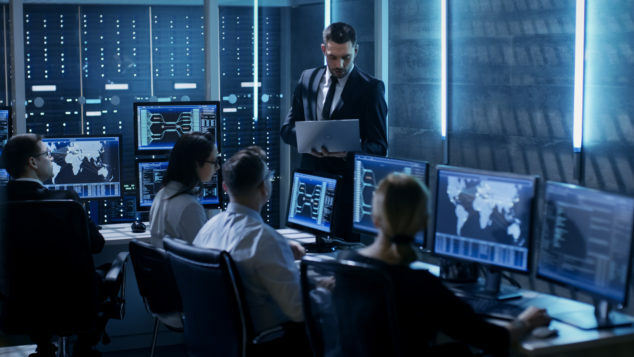 StarWind’s around the clock support team makes sure that your infrastructure stays in optimum condition with their proactive monitoring and risk mitigation plans.